Nestled between Pinecrest Lake, Dodge Ridge Ski Resort and the Lair of the Golden Bear, Pinecrest Chalet is a mountain resort offering 23 amenity-filled cottages and chalets and RV Sites. 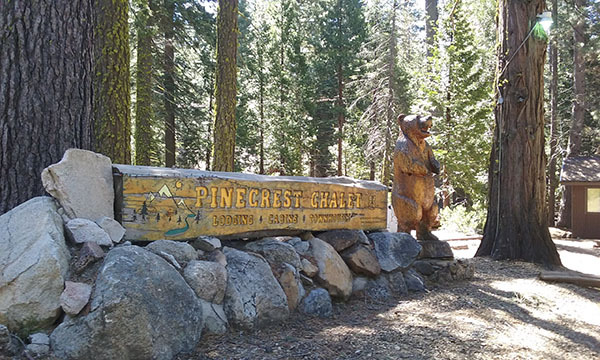 The Pinecrest Chalet is the perfect destination for weddings, reunions and group retreats. Each of our accommodations is unique and inviting. Our chalets have full kitchens and sleep up to 14. Our more intimate cottages are perfect for a cozy two- to four-person stay amidst majestic pines. All guests are invited to enjoy our community areas, including our pool, bear garden and den full of good books, games and movies. Or feel free to visit us in the lobby and enjoy a hot drink on us. 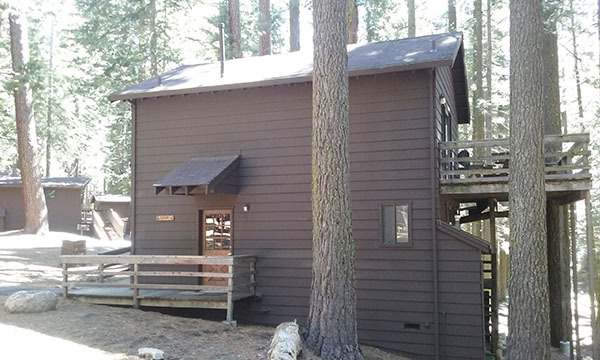 Cabins: Nestled between Pinecrest Lake, Dodge Ridge Ski Resort and the Lair of the Golden Bear, Pinecrest Chalet is a mountain resort offering 23 amenity-filled cottages and chalets and RV Sites. The Pinecrest Chalet is the perfect destination for weddings, reunions and group retreats. Each of our accommodations is unique and inviting. Our chalets have full kitchens and sleep up to 14. Our more intimate cottages are perfect for a cozy two- to four-person stay amidst majestic pines. All guests are invited to enjoy our community areas, including our pool, bear garden and den full of good books, games and movies. Or feel free to visit us in the lobby and enjoy a hot drink on us. 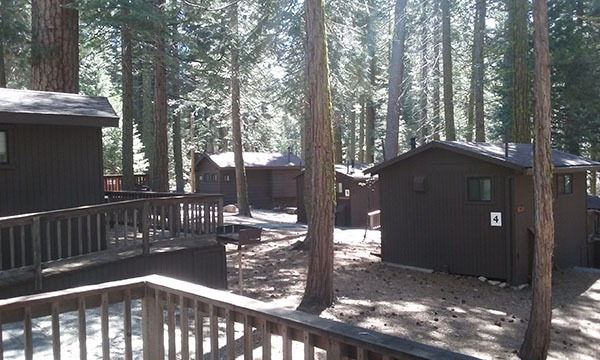 Camping/RV: Nestled between Pinecrest Lake, Dodge Ridge Ski Resort and the Lair of the Golden Bear, Pinecrest Chalet is a mountain resort offering 23 amenity-filled cottages and chalets and RV Sites. The Pinecrest Chalet is the perfect destination for weddings, reunions and group retreats. Each of our accommodations is unique and inviting. Our chalets have full kitchens and sleep up to 14. Our more intimate cottages are perfect for a cozy two- to four-person stay amidst majestic pines. All guests are invited to enjoy our community areas, including our pool, bear garden and den full of good books, games and movies. Or feel free to visit us in the lobby and enjoy a hot drink on us. Mountain resort nestled between Pinecrest Lake, Dodge Ridge Ski Resort and Lair of the Golden Bear. 23 amenity filled cottages, chalets, RV sites. The perfect destination for weddings, reunions, group retreats.ere for Meetings & Conference information. Wedding Venue: Click here for weddings information.